I was lucky to have been raised in a family where my father was very well read. His interests were broad. It was to my benefit that he had a particularly strong interest in religious studies. He would read books that were informed by all viewpoints including those which were sometimes considered to be controversial. Growing up surrounded by books gave me an opportunity to appreciate different viewpoints and the importance of the marketplace of ideas. There was not much need for censorship. My father’s attitude was that truth would usually prevail given enough information and critical thinking skills. In that environment I read what were (in those days) controversial books such as “The Passover Plot,” “Those Incredible Christians,” “No Man Knows My History,” and many others. 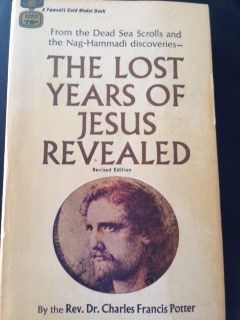 One particular book I remember reading in high school was a paperback I found lying around the house titled “The Lost Years Of Jesus Revealed” by Rev. Dr. Charles Francis Potter. There was a lot of underlining on its pages and it was obvious to me that my father had read it more than once. It was published in 1958 and revised in 1962. In those days, books about the Dead Sea scrolls were hard to come by. I found the subject fascinating but it seemed that there was little real information available to the general public. And what was available frankly seemed disappointing and boring. This little book, on the other hand, captivated my interest. Potter’s thesis was that Jesus’ ministry was actually an evolution of the Essene movement. He managed to place much of Jesus’ social and theological teachings in a historical context that came right out of the Dead Sea group. At the time, I considered it speculative but it made for a very good read and was thought provoking. Potter went so far as to surmise that during the “lost years” between ages twelve and thirty, Jesus was part of the Essene school. And it was to the title of the great “Teacher of Righteousness” noted in the scrolls that Potter theorized Jesus probably succeeded. 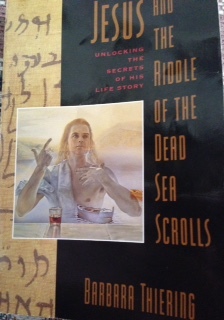 I didn’t think a lot about the Dead Sea group or Qumran and the scrolls for a few years (and frankly there wasn’t much out there published) but then in about 1992 I came across Barbara Thiering’s “Jesus And The Riddle Of The Dead Sea Scrolls.” Thiering, a biblical scholar from Australia, attempted to unfold the real life story of Jesus from her reading of the Dead Sea scrolls using the Dead Sea group’s “Pesher” technique. 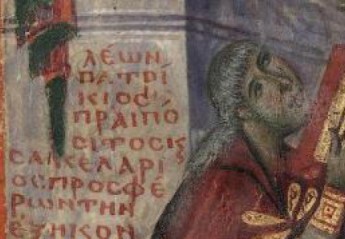 Thiering not only applied the pesher technique to the scrolls, but went on to apply the same technique to the text of the New Testament. Her conclusions seemed so foreign and indeed downright outlandish to me that I struggled finishing her book. It just didn’t make any sense. I wondered how someone with her credentials could come to such shocking conclusions. Was this just a sensationalistic approach to sell books? I wondered. Now even though Thiering’s conclusions seemed highly speculative, the pesher technique actually was not as nonsensical to me as perhaps most readers might take it. So just what is a pesher? Pesher (פשר‎) is a word found in the scrolls used for a procedure or approach to decoding scripture. It is like a solution to a puzzle and anyone who knows the technique can solve the puzzle. Now the problem of course with the pesher method or using history as a type is that it really gives the interpreter ‘carte blanche’ to say whatever he or she wants about the hidden meaning of the scripture. And the implication is that the interpreter understands the true meaning of a book of prophecy better than the prophet who originally wrote the book. Whenever a prophecy is not fulfilled, an interpreter can always say that it has a hidden meaning and assign it to a future day or something that is expected to occur soon. Thiering was roundly criticized by many scholars for using the pesher method in attempting to find hidden meanings in the text of the New Testament. Her method has not been accepted in mainstream circles and with time interest in her approach has waned. On the other hand, the past twenty to thirty years has witnessed a robust Dead Sea scroll growth industry with the publication of some excellent resources and new approaches to the scrolls by authors such as Geza Vermes, Robert Eisenman, Norman Golb, Lawrence Schiffman, Gabirele Boccaccini and others. With new innovations in bible software it has never been so easy to study the scrolls in the original Hebrew and Aramaic and make a first-hand informed judgment regarding their meaning and relationship to the development of Christianity. A fantastic resource for self-study is “The Dead Sea Scrolls Study Edition” by Florention Garcia Martinez and Eibert J.C. Tigchelaar. This two volume book provides a transcription and an English translation of the non-biblical texts found at Qumran arranged by serial number from Cave 1 to Cave 11. It allows you to compare the English translation with the Hebrew. After recently spending some time reading through The Dead Sea Scrolls Study Edition I was impressed with how the Dead Sea group was a strict, legalistic Torah observant, Messianic, apocalyptic, baptizing, wilderness, new covenant sect led by a priest they called the “Teacher of Righteousness.” The parallels to the early Jesus movement are really striking. The groups have comparable rituals of baptism, communal meals, and common ownership of property. There is a parallel organizational structure: bishops or overseers as well as sectarians dividing themselves into twelve tribes led by twelve, similar to the structure of the early Church, with twelve apostles who, according to Jesus, would sit on twelve thrones to judge the twelve tribes of Israel. The use of similar phrases between the Qumran group and the New Testament is also quite interesting: “sons of light” “sons of darkness” “Holy Spirit” “New Covenant” “living waters” “poor in spirit” the list goes on and on. Finally, a text that I found to be especially intriguing (4Q521) and given the label “A Messianic Apocalypse”contains direct parallels (at least in my mind) to the early Jesus movement. It identifies in language similar to what can be found in the gospels of Matthew and Luke, signs for identifying the Messiah, a single Messiah figure who will rule heaven and earth and the resurrection of the dead in the reign of this Messiah. The jury is still out on whether John the Baptizer or Jesus was part of this group. Nevertheless it seems to me that the Rev. Dr. Charles Francis Potter was ahead of his time. At the very least, it would seem that the Jesus movement represents a further development in the evolution of the apocalyptic, messianic fervor that was prevalent in that time period. Was Jesus an Essene? Was John an Essene? What about James the so-called brother of Jesus? If I were guessing, I would think that…well, I’ll leave it up to the reader to decide. The resources available for self-study continue to multiply and are now quite generous. Welcome to my blog. I decided to enter into the so-called field of “biblioblogging” in April, 2015. My focus will be on such issues as biblical languages, the historical Jesus, end-times, Bible codes, James the brother of Jesus, the Apocalypse of John, the Dead Sea scrolls and lots of other things that flow from a careful probing of the biblical text. There really is no end to the questions and issues that arise. While many find the Bible boring and of no use to modern society, I have found it to be endlessly fascinating. In our current world, there may well be no other book that has had more influence on Western civilization. Hence a healthy intellectual curiosity often draws one inescapably to a study of the Bible. Who shouldn’t be interested in who wrote the Bible, how it developed, whether it was corrupted, how it all started? And of course Jesus of Nazareth is considered to be the most important person in human history. 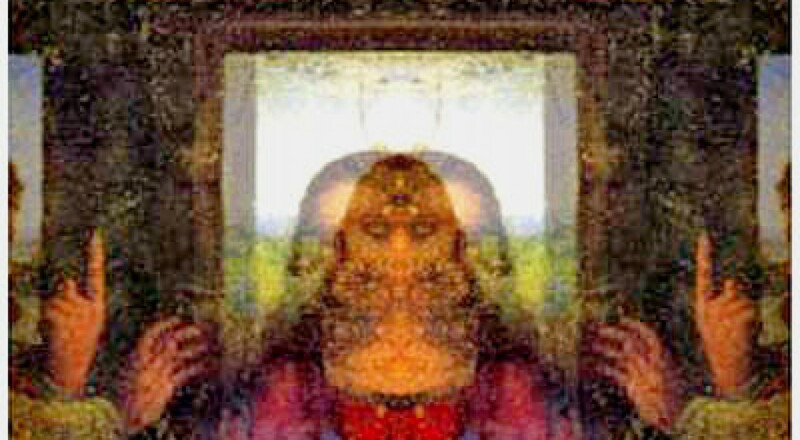 Who wouldn’t want to know if he really existed, what we can know about him, and the religions associated with him? I have a B.S. from Utah State University and a Juris Doctor from the University of Idaho. I have a fascination with languages and am familiar with Japanese, koine Greek, Biblical Hebrew and a few others. Most of my biblical language experience has been with the Greek of the New Testament. I can’t begin to count the number of books I have read over the years related to religious studies. In the real world, I am a lawyer with a law practice devoted to helping the disabled.